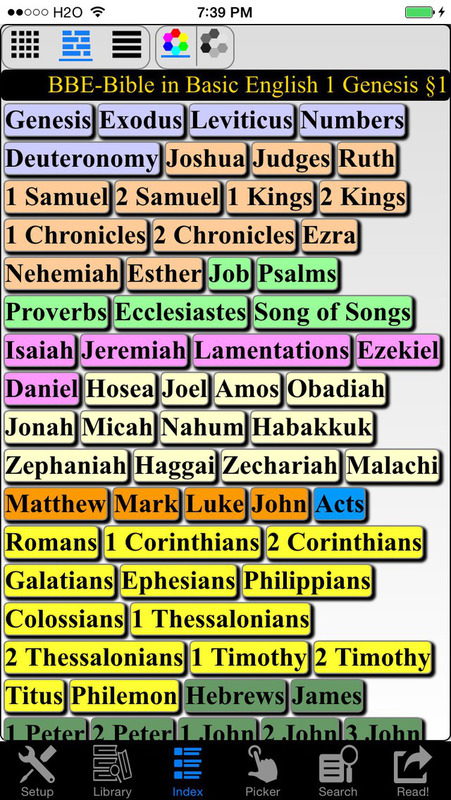 This program contains Holy Bible BBE version (Bible in Basic English). The formatting of the text layout can make a huge difference on the way a verse is read, so finding the easiest and most context-appropriate display style is very important. 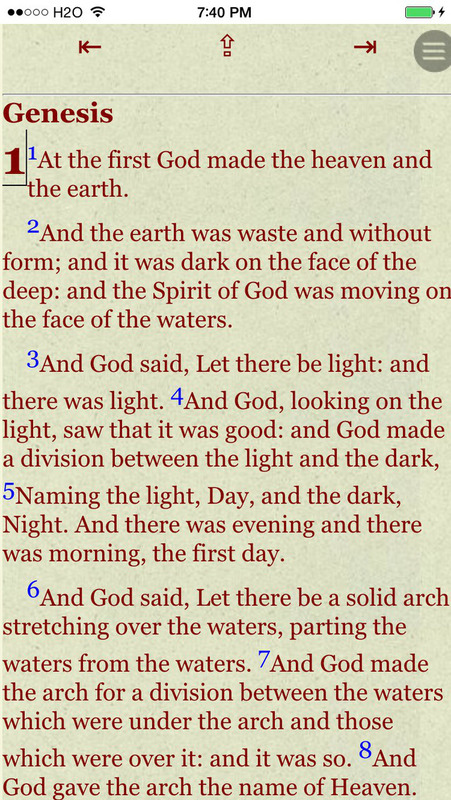 One of the best things about this Bible is the formatting of the text into both paragraph and poetic layouts. Poetic sections, like Psalms or The Song of Solomon, are displayed as breaking lines of poetic verse, whereas sections, like Paul's letters, are displayed in a paragraph format more consistent with the letter/exhortation style of the epistle. 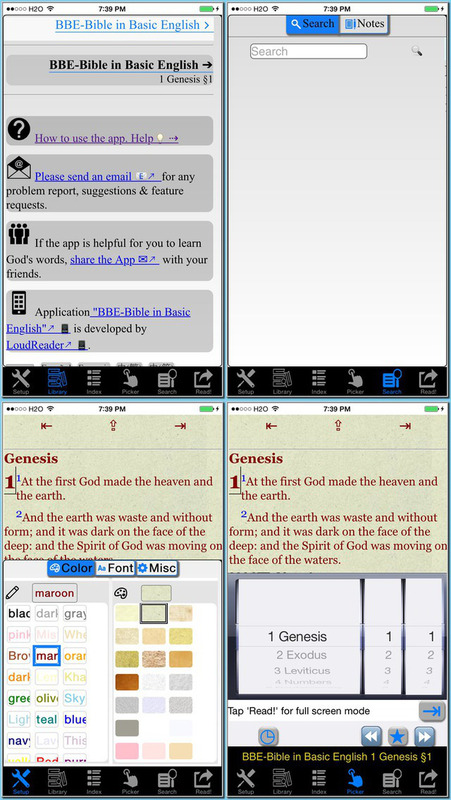 This makes reading bible verse-by-verse easier than ever. * Displays rich formatted HTML book  (NOT plain text). 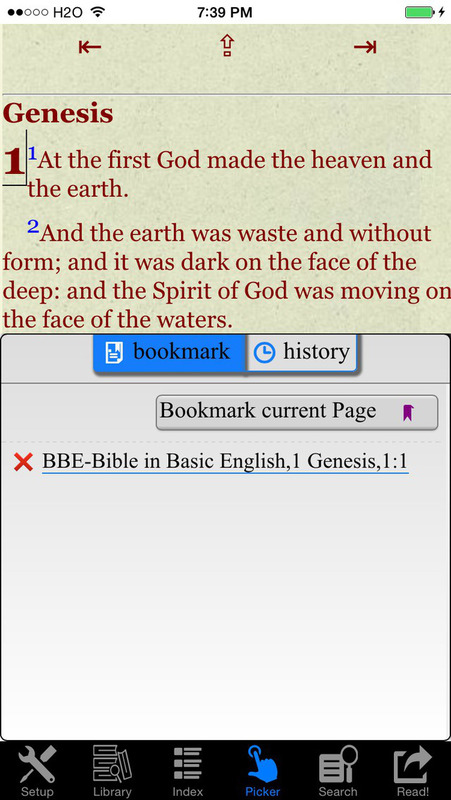 The 2.0 version provides super fast loading of the bible text and unlimited navigation backward/forward functions. It's specially designed for bible reference locating and reading.